Michael McQueen is one of the nation’s pre-eminent trend-forecasters and has a client list that includes AMP, Optus, Toyota and Westpac. 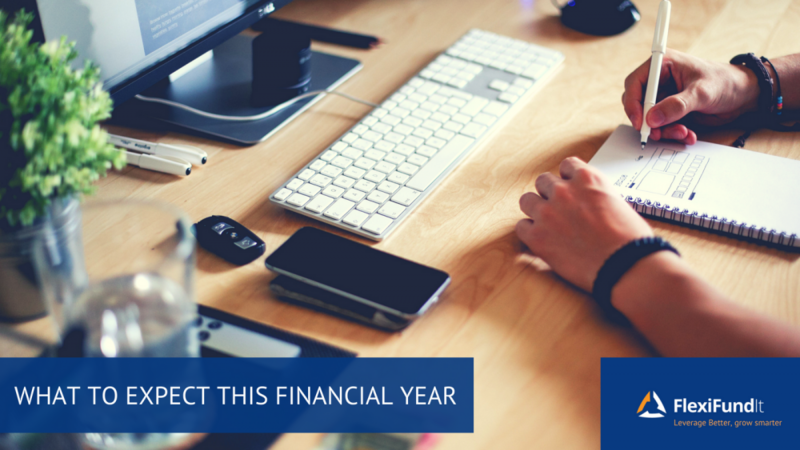 Here are three developments he believes SME owners should be focusing on this financial year. The disruption of the small-business finance market, which is well underway in other countries, should start having an impact in Australia this financial year. In the US, Square Capital allows SMEs to complete an online loan application, have the funds deposited in their account within 24 hours, then simply repay the loan by having a small sum deducted from every transaction that goes through a merchant facility provided by Square. For example, if a café borrows money to expand, 10 cents from every cup of coffee they sell could be put towards repaying the loan. In Australia, new and slightly less new companies – Nimble, PayPal and MYOB – are now offering innovative small-business financing and providing access to capital to SMEs banks aren’t interested in. That should be a real shot in the arm for the small business sector. The emergence of Gen Z: Gen Y still possesses lots of economic clout, but it’s becoming old news as attention shifts to Gen Z. The oldest Zers are now getting jobs. Even more so than their Gen Y predecessors, Gen Z will spend their money on experiences rather than stuff. Given Australian retailers can’t compete on price with Amazon and will increasingly have to appeal to consumers who expect more than a no-frills transaction, they’ll need to work out how to provide memorable experiences if they hope to remain competitive. Wages have been stagnant for a long time but the situation may improve this financial year. The Fair Work Commission’s recent decision to increase the minimum wage by 3.5 per cent should translate into a welcome boost to the bottom lines of many small businesses, particularly in the retail and hospitality industries. However, the changes to child-care benefits and rebates are going to impact many high-income parents negatively. Some will be out of pocket $7,000. Even some low-income parents might end up worse off if they fail to meet the activity test (that requires them to be training, studying or working). By effectively making child care more expensive, the changes will make it less popular. Business owners should be prepared for staff to be less eager to return from parental leave following the birth of a child. Also, employees with children may want to reduce their hours. As lots of famous thinkers are purported to have observed, prediction is very difficult, especially about the future. Nonetheless, here is our best effort at a 12-month forecast. The Lucky Country’s luck should hold up. Expect solid if unspectacular economic growth, falling government debt, plenty of infrastructure spending, low unemployment, low inflation and a reasonable level of business and consumer confidence. Most experts believe the housing bubble will deflate gently, but things could get ugly if it doesn’t. It’s unlikely Australia will receive a Trump or Brexit-level shock to the system but there will be a Federal election sometime between now and May 18, 2019. Once it’s called, many businesses and some consumers will put purchasing decisions on hold. Should Labor win, it’s likely to take a hard line on business owners seen to be engaging in ‘wage theft’ and reverse cuts made to Sunday penalty rates. The rate of technological change won’t be plateauing anytime soon. Business owners wishing to remain competitive will need to think about how they can further automate their processes, promote their business on social media, harness the power of artificial intelligence and blockchain, comply with stricter standards around data privacy and ensure they aren’t sent to the wall by new-economy behemoths such as Amazon. Aside from the emergence of Gen Z, the generational changes SMEs need to keep front of mind are the Baby Boomers starting to retire in big numbers and Gen X moving into the nation’s top jobs (and top income brackets). Cashed-up boomers can be expected to splash out on everything from travel to cultural events to companion animals. With their HECs debts and mortgages no longer such a pressing concern and their children transitioning into adulthood, Gen X may start indulging itself in luxury travel, premium food and expensive fashion. While it’s impossible to foresee future crises, it’s usually a simple matter to insure against them. To find out more about how you can minimise the impact of a ‘black swan’ event on your business, talk to a Steadfast insurance broker. Contact us today to find out more about how our software can help you this financial year.